The latest Mangusta 165 – the eighth superyacht in the series – is set to be unveiled to the public at the Monaco Yacht Show in September. The yard says that the owner asked for a 165 with even more aggressive and muscular lines. The Overmarine Group’s design department specced a new side window on the main deck – a large single panel of glass in the salon that offers excellent visibility from the inside and allows copious amounts of natural light in, as well as creating a vivid sight on the water. 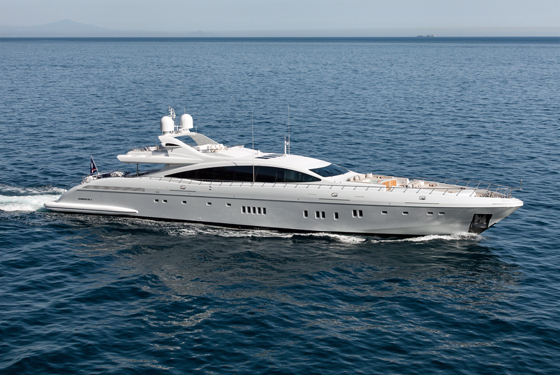 She is not just muscular in style – the 50-metre yacht delivers a 40-knot top speed.